44 Earrings in 44 Days! July is my birthday month, and in celebration of this I am making 44 earrings in 44 days! After July 14th, when the 44 days are up, I will be drawing names to win several pairs of my earrings. To be included in the drawing you need to head over to my Facebook page, and over the next 44 days, like, comment and share the various pictures of earrings that I will be posting. Every like, share or comment counts as your name going in the bucket, for every day you do that. So your name can get put in up to three times a day! Above are earring pair 1 of 44! 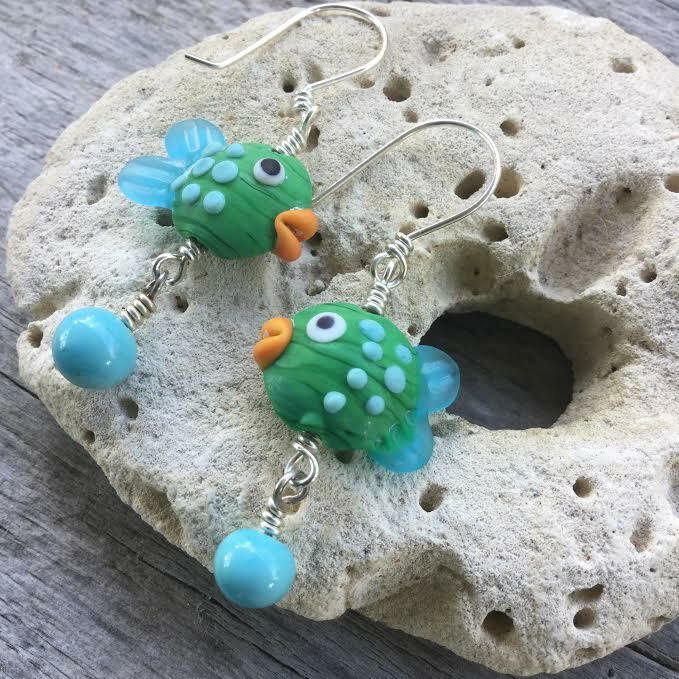 Not all earrings will be fish, or glass, for that matter. I want to use this time to get creative, try some new designs and get some ideas out of my head. If I have a busy day, like a day I am teaching, then the next day I will post 2 pairs. Hope you all join in the fun!